The form of the stabilimentum may change as the spider grows. 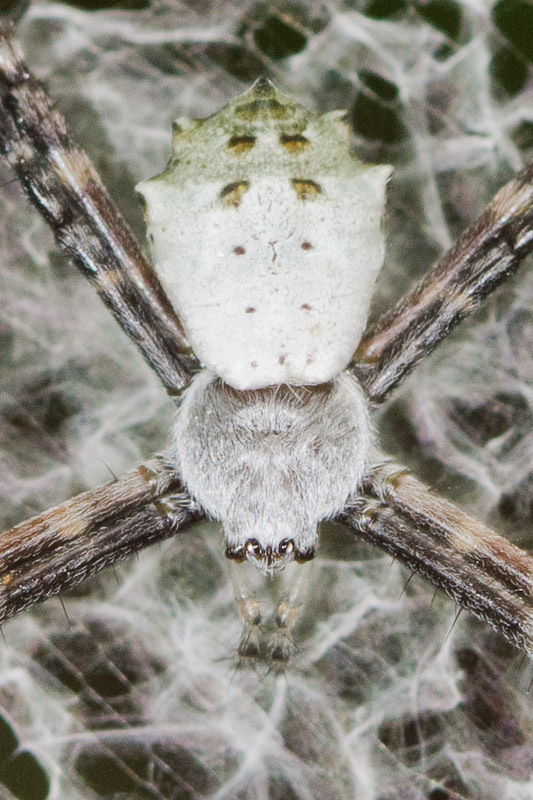 Young spiders like this one may create a dense circular pattern as shown here. Older spiders are more likely to create sparser designs in various shapes. 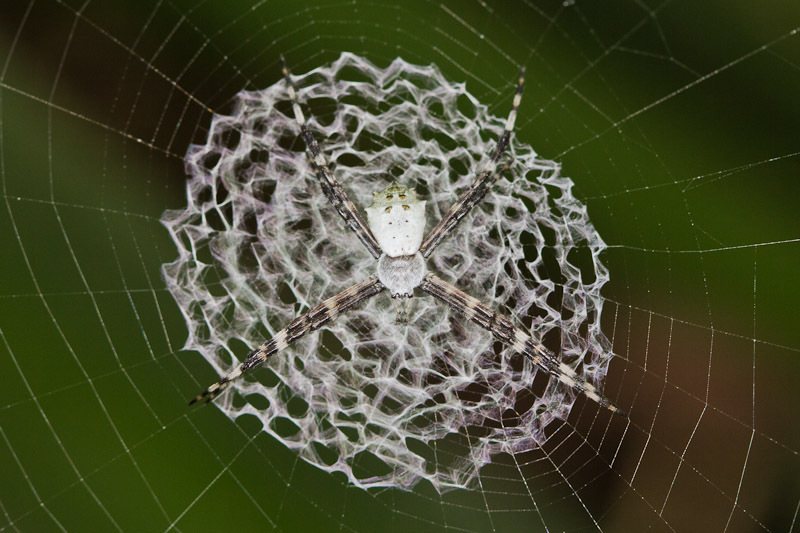 According to the World Spider Catalog, there are five species of Argiope in Costa Rica: argentata, aurantia, blanda, savignyi and trifasciata. Some I’m familiar with and can eliminate, but that still leaves a few this could be. It does however match a photo here of A. savignyi. When I recently considered upgrading my camera body to the Canon 60D, I convinced myself it would be more versatile because of the flip-out LCD screen combined with live view. I’m happy to say I wasn’t just lying to myself in order to justify the upgrade. This spider was just one subject from the trip that I would have otherwise had to pass up. Here, I held the camera well above my head with the screen pointed down for focusing.